Richard Bauckham. Jesus and the Eyewitnesses: The Gospels as Eyewitness Testimony. Second ed. Grand Rapids: Eerdmans, 2017. xxiii + 680 pages. $50.00, cloth. This is a fascinating book by a well-known British scholar. 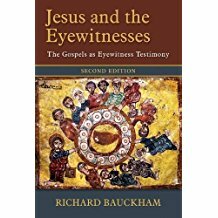 In Jesus and the Eyewitnesses, Bauckham argues that mainstream critical-scholarship (1) has not considered the fact that many eyewitnesses existed in Palestine that could confirm or deny the veracity of various stories in the Gospels, (2) has not eliminated the form criticism view that most Gospel stories came from anonymous communities using a non-eyewitness-folklore model, and (3) has not noticed that the Gospel writers took this awareness of various eyewitnesses into account in the production of their sacred texts. Bauckham addresses critical scholars assuming their own critical stance. He comes to many, but not all, “conservative” historical conclusions based on his various eyewitness-related arguments. Bauckham includes significant analysis of the extant “fragment” quotes from Papias (AD 60-130, ANF 1:153-55). His take-away is that Papias was very interested in eyewitness accounts. Bauckham dovetails this with Samuel Byrskog’s insights (Story as History—History as Story, 2000). Byrskog concludes that ancient historians wanted to be eyewitnesses themselves and/or interview eyewitnesses. That is, oral eyewitness testimony was preferred to later written sources and oral non-eyewitness testimony, both of which could not be adequately interrogated. In addition, Bauckham regards the genre of the Gospels as a type of ancient biography (bios). Readers of this genre would have expected the author to be an eyewitness or at least expected the author to consult with eyewitnesses. With this background and before getting to detailed analysis of Mark and John, Bauckham quickly looks at a variety of NT texts that explicitly emphasize eyewitnesses. Luke’s prolog mentions “eyewitnesses” (αὐτόπτης). The emphasis in Acts on “witnesses” (μάρτυς) clearly means eyewitnesses (e.g., Acts 1:8, 22; 13:31). Paul mentions the five hundred to whom Christ appeared following his resurrection (1 Cor. 15:3–8, cf. Heb. 2:3-4). In the Upper Room discourse, Christ tells the disciples that they will “bear witness (μαρτυρέω) because you have been with me from the beginning” (John 15:27). Further, Bauckham surmises that the apostolic “twelve” was an “official body of eyewitnesses” (p. 96). This official body would have had some control over what was being written, or at least, could have objected when inaccurate things were written. Similarly, all of theliving eyewitnesses would have been able to confirm or deny various oral and written stories about Christ. In one of Bauckham’s most fascinating discussions, he uses Tal Ilan’s exhaustive work concerning occurrences in extant literature of Jewish names from 330 BC – AD 200 (Lexicon of Jewish Names in Late Antiquity, 2002). For example, “Simon” occurs 243 times in all Jewish Palestinian literature and Nathan only eight times. Also, there is a noticeable statistical difference between the frequency of various Jewish names in Palestine as opposed to those in the Diaspora. As it turns out, the frequency of various popular names in the Gospels matches very close to Ilan’s list of popular Palestinian names. How could early church communities living outside of Palestine “make-up” the appropriate frequently-used names in the Gospels as standard form criticism alleges? Bauckham sees this is evidence that the Gospel writers were accurately reporting names. 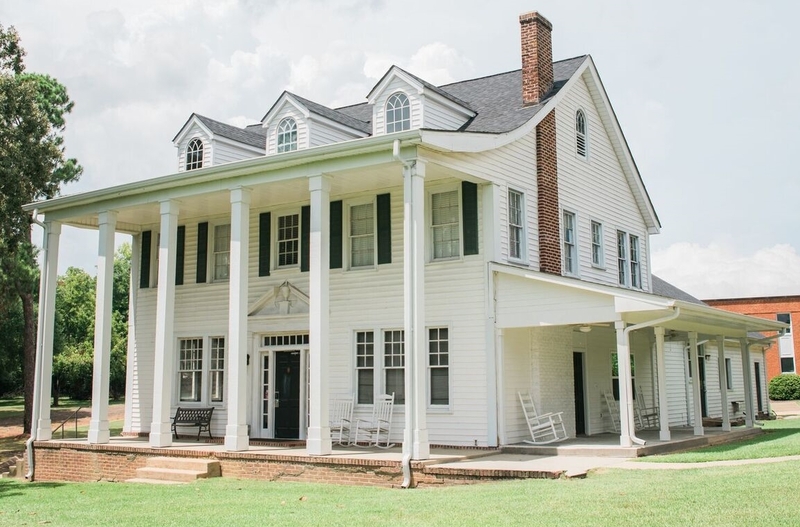 More importantly for Bauckham, the Gospel writers and eyewitnesses who spoke to the Gospel writers were interested in getting the names correct because real eyewitness testimony was treasured. Bauckham prefers to emphasize that the Gospels are best described as “testimony” (p. 505). He does view this testimony by eyewitnesses as generally reliable although resulting in some historical errors. He believes that the eyewitnesses ensured a “stable core” even if they “var[ied] the details” (p. 595). He further concludes that “one reason Gospels were written was to maintain this accessibility and function of the eyewitnesses beyond their lifetimes” (p. 308). According to Bauckham, the John Mark of the NT is the author of the Gospel of Mark. He believes that the author Mark was not an eyewitness but primarily relied on Peter. His evidence for this is three-fold. First, he takes Papias’ comments seriously about Mark using Peter. Second, he believes that Mark intentionally tipped off his readers that Peter was his prime eyewitness. Peter’s appearance at the beginning and ending of Mark (Mark 1:16-18 and 16:7) “form[s] an inclusio around the whole story, suggesting that Peter is the witness whose testimony includes the whole” (p. 125, emphasis his). Third, many women are named in Mark 15:40–16:6 where Peter is absent within the narrative. Mark is intentionally naming these women eyewitnesses because of the absence of Peter whom the reader would normally assume is the eyewitness informing Mark. Why are some characters named in Mark (and any of the Gospels) and others are anonymous? Bauckham’s partial explanation is that the named “people joined the early Christian movement and were well known at least in the circles in which these traditions were first transmitted” (p. 45). Thus as eyewitnesses they could confirm the veracity of the Gospel. Assuming Markan priority, Bauckham notes examples of Matthew and Luke dropping personal names that were in Mark. He concludes that by the time Matthew and Luke wrote, these eyewitnesses had become obscure and thus the actual names were no longer useful (e.g., Alexander and Rufus in Mark 15:21 but not in parallels Matt. 27:31 and Luke 23:26). Another intriguing idea is the “protective anonymity” category. Some of the unnamed characters are so because naming them would have created possible backlashes against them from the authorities. Bauckham cites as an example the unnamed women who anointed Christ’s head and will be remembered (but not by name!) from Mark 14:3-9. Further, some unnamed characters from Mark are named in John (e.g., unnamed servant in Mark 14:47, Malchus in John 18:10). Why? By the time John wrote, the protection of anonymity was no longer needed. Of the many arguments in this book, I strongly disagree with many, others I find as an “over-reading” of Mark and John, some are at best suggestive, but in addition, I whole-heartedly agree with several. Without listing all my complaints, allow me simply to end on a positive note. The main importance of this book is to force scholars of all stripes to acknowledge that eyewitnesses did exist and thus to enquire as to how this (1) affected what the authors of the Gospels wrote and (2) is related to the historical veracity of the Gospels. In this significant way, Bauckham has moved the scholarly discussion in a positive direction, a direction that all evangelicals appreciate.